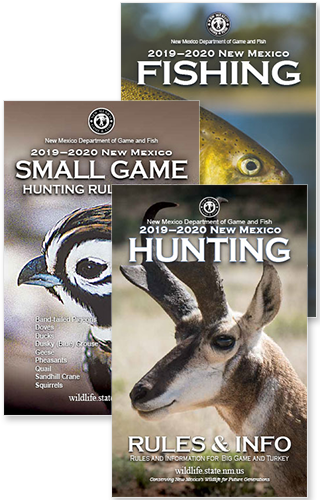 The Department of Game and Fish has obtained a lease with the State Land Office to secure access to most State Trust Lands for hunters and anglers during seasons from April 1, 2017, through March 31, 2020. The easement lease includes improved signage at access points and camping in nine designated areas. Click the links below for more information and a map of access points and camping areas. To take advantage of the hunting opportunities unitized ranches provide, hunters must have a valid license for the season and species identified in each agreement. Each agreement specifies the hunting season(s) and species which apply. Also, to assist and inform hunters in the field, signs will be posted on public and private property where unitization agreements are in effect. Game animals taken on private land without landowner permission or taken on public land without a private-land license will be seized. 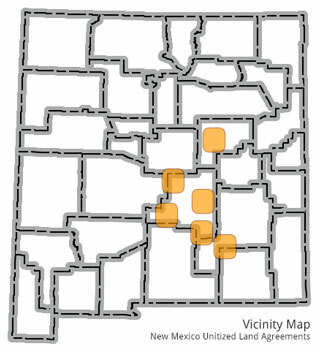 Click the links below for 2019-2020 contract agreements and maps for unitized ranches in southeastern New Mexico. The “unitization” agreements among the State Land Office or Bureau of Land Management (BLM), the Department and several landowners in the southeastern part of the state are designed to benefit sportsmen and landowners. Under the agreements, unitized State Trust or BLM land would be treated as private property and would be closed to hunting and trapping. The private lands covered under the agreements then would be open to public hunters and trappers. Unitization agreements give hunters and trappers access to private land while providing landowners greater flexibility in maintaining ranching operations on often-landlocked public lands. For additional maps and land access information navigate to Hunting Lands & Maps or Land Access Rules.